£10 to spend in their wonderful shop. I coloured with Copic pens and the papers are 'Lillibet' - beautifully textured and soft colours, love them. This is such a sweet card, love your CAS style! Thank you for your inspiration! 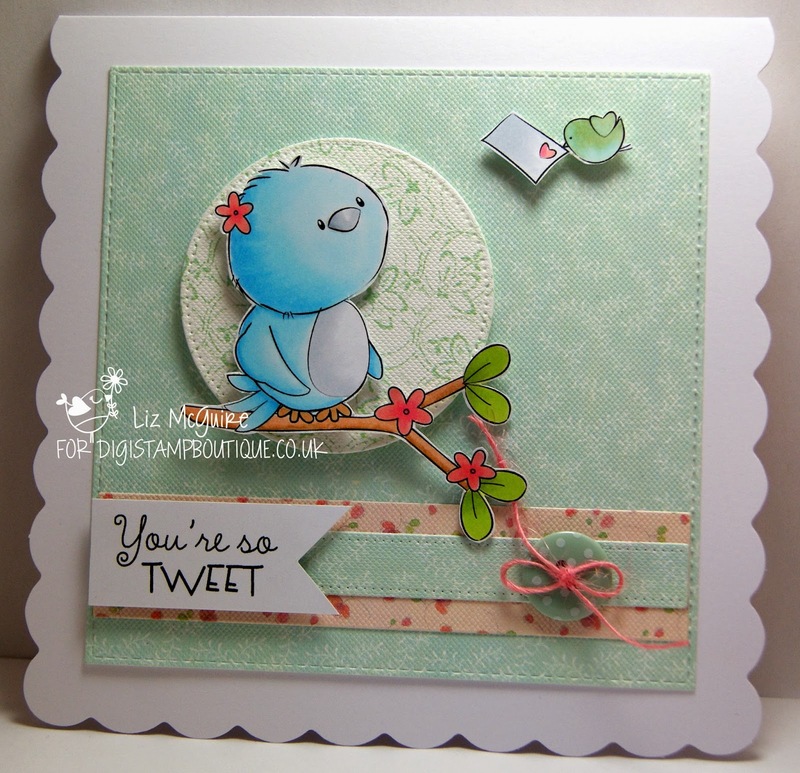 Aww this is really sweet Liz… what a cute birdie! I love the layers to this card and the papers and embellies are very pretty!